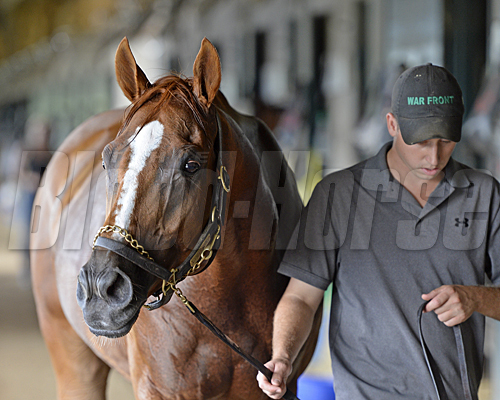 Two-time Horse of the Year Wise Dan on the turf course at Keeneland. 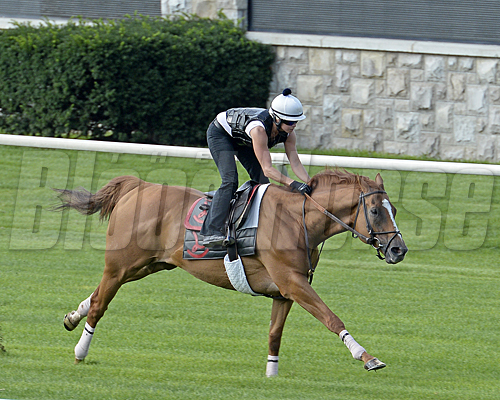 Wise Dan had his first breeze on July 17, since returning to full training on June 30. Based at Keeneland in the Charlie and Amy LoPresti barn on Rice Road, the 8-year-old champion breezed four furlongs in :48 1/5 under exercise rider Jenn Patterson. While cooling out and being walked by Reeve McGaughey, Patterson and LoPresti watched and talked about the breeze and the future.